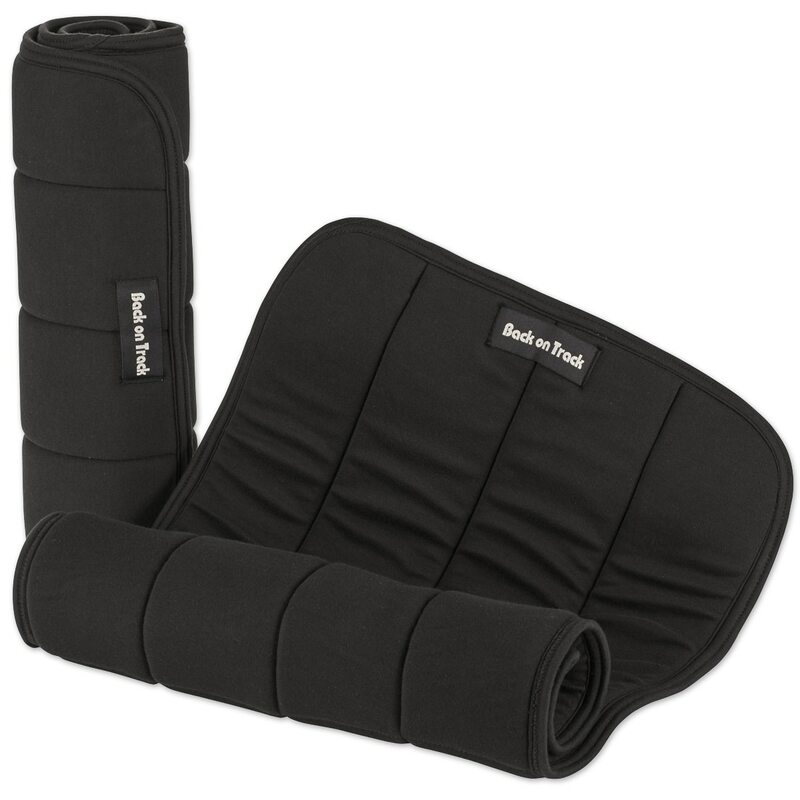 Help your horse prepare, perform, and recover with the Back on Track Therapeutic No Bow Wraps. These wraps utilize Back on Track’s Welltex® fabric, which contains fine ceramic powder, to reflect your horse’s own body energy to create a soothing far infrared thermal effect. This far infrared wavelength penetrates deeper into the tissues. This unique material helps to increase blood circulation and oxygen transport throughout the area, which may help to decrease swelling and help keep your horse’s legs cool and tight. 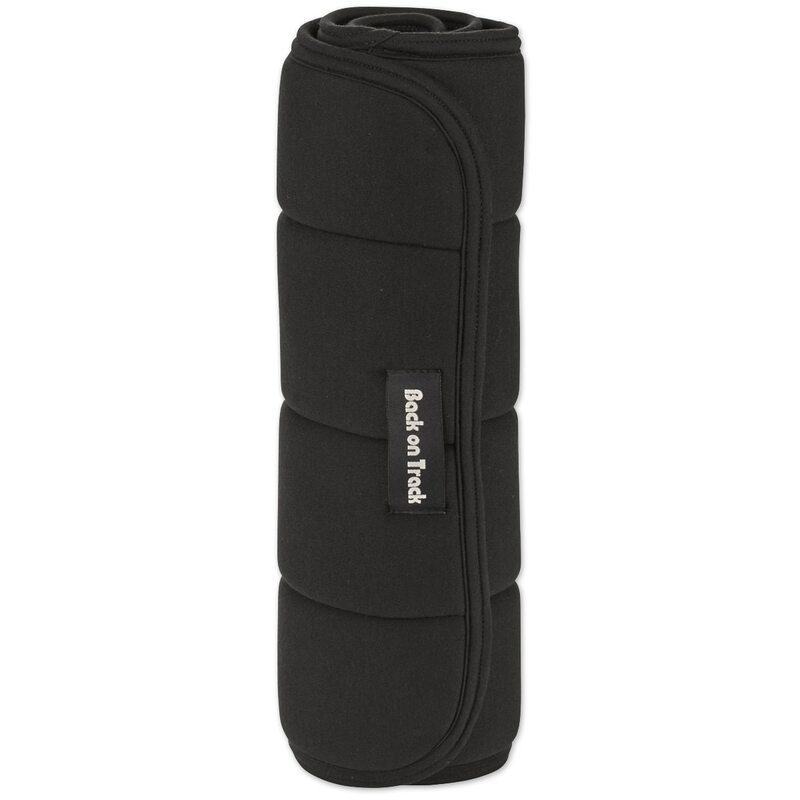 Many horse owners use these wraps for both injury prevention and recovery, as well as for every day use or to help your horse bounce back from a tough workout. They’re also great for using while shipping. Sold as a pair for use on either fronts or hinds. Available in 12”, 14”, and 16”. Available in 10", 12", 14" or 16". Pair. Reward you and your horse with relaxing aromatherapy while gently soothing sore muscles and tendons. Absorbine Botanicals Foam quickly cools, soothes, and refreshes with 12 herbs and essential oils, including Aloe Vera and Arnica. Back on Track Therapeutic No Bow Wraps is rated 4.8 out of 5 by 72. Rated 5 out of 5 by Ckp914 from They Just Plain Work! I am totally a believer in these wraps. I bought them for my horse's hind legs who is going on stall rest for 2 months following a surgery. I followed the directions and introduced them for no more than 4 hours at first, but even just a short time in these wraps and his legs look fantastic. I put them on his front legs tonight for a few hours just for fun, and when I took them off his legs were so tight - and they didn't even really look puffy before! Definitely love them. I went with these instead of the quick wraps because I wanted the compression. The 12" wraps fit my 14.1h large pony perfectly on the hind, bit big on the front but it works! Rated 5 out of 5 by Kadra from Best wraps I've ever seen!! I bought these in preparation for a larger show. Knowing that the stall footing would be concrete, I wanted to make sure my horses didn't stock up. They were perfect! No puffiness the whole week! Rated 5 out of 5 by Cjmryan from Great wraps It took me a few years to buy into the Back On Track products. Now I'm a believer. These take swelling out of legs better than poultice. Almost every horse in our training barn owns a pair or two! Rated 4 out of 5 by Amanda from I bought these wraps a month ago. I think they do more for swelling than the typical wrap. Rated 5 out of 5 by josT from Love these pads This is my second set so I could keep using them while I wash my other set. They are great for reducing swelling, much better than regular wraps, and the leg is definitely warmer than after using a regular wrap. Happy with how well they hold their 'puffiness' over time. Rated 5 out of 5 by Annabella from Simply a must have! I absolutely LOVE my Back On Track wraps! My Blue suppered a leg injury and adding these wraps has definitely reduced the inflammation in his front leg! Now I am wanting the exercise boots for him! Rated 5 out of 5 by skjs18 from Typically good product from BoT These start out quite thick, but a few uses and a wash brings them to a nice broken in feel. I got these in addition to the Quick Wraps which are also great, but the no bows allow for more flexibility in adjusting the snugness of the wrap. My horse tore his DDFT about 10 weeks ago and these have been great to wrap a bit low to support under the fetlock. The noticeable decrease in swelling when they are on overnight is really excellent to see.